Projects the scale of The Cohos Trail can’t be accomplished alone. Scores of people have been involved, and most have been greatly supportive in the effort. We have to, just have to, say thank you in the most sincere terms that we know how. After all, it is not much more than fifteen years since the first public meeting was called in Lancaster, New Hampshire about the possible development of The Cohos Trail. And now — in half a generation — we are completing and improving one of the great long trails in the East. We are humbled by the help we’ve received. A special thank you to Tom Miner (retired), James Carter and Bill Carpenter of NH Forests & Lands in Concord; to Robert Spoerl formerly of the NH Trails Bureau at Concord; to Robert MacGregor and David Falkenham of Forests & Lands and Brad Presby of the Trails Bureau at the Lancaster office, and to State Biologist Will Staats, the fastest man on two feet in a fir thicket. And Johanna Lyons went to bat for us for trail grant funding. These State employees have been so supportive of the effort that I am now a great fan of State government. Imagine that? Thank you David Dernbach, formerly of the North Country Trailmaster. No one got behind the Cohos Trail project like David. He was the bulldog of The Cohos Trail. He took everybody by the scruff of the neck and shook them a bit so that they would see the potential of this long footpath in the Great North Woods. He is the greatest! And thank you to his many young Trailmasters who worked on the trail during past summers. Also to former Trailmaster and trail builder extraordinare, Tracy Rexford of Berlin; and to our former trail crew, Chad Pepau (now president of the associaton) and Joel Cote who did terrific things right out of the gate. And what does one say about Steve Barba, former managing partner of The Balsams Grand Resort in Dixville Notch. 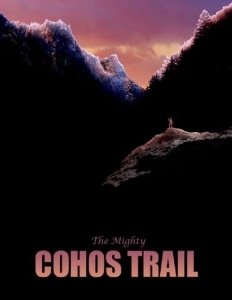 To say that Steve is a big booster of The Cohos Trail simply isn’t saying enough. Steve is the best sounding board there is and an inexhaustible resource of ideas. The man is amazing. To the news media: I’m grateful to old friend, former Coos County Democrat managing editor Gene Ehlert and his, wife Linda: they always gave me a couch to crash on. And Gene tramped more woods with me than I suspect he ever wanted to. I’m appreciative of the work Edith Tucker, the Democrat’s ace reporter (and I do mean ace) who has covered the story so well and who has given me great advice along the way. 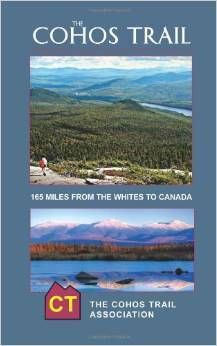 Also, I’m delighted that Charlie Jordan, editor of the Colebrook Chronicle, wanted to feature the trail in his Northern New Hampshire Magazine. And thanks to John Harrigan, former publisher of the Colebrook News & Sentinel, who knows the north so well he can describe every backwater stream and rocky nob. And Barbara Tetrault of the Berlin Daily Sun has kept the development of the CT on the front page all these years. Thanks to John Lane, who knows Nash Stream so well and who has let me and trail workers “live” at his Silver Brook camp, Camp Kirk, while working on the trail. To the trail builders: Jack Pepau and his son, Chad of Stark; Wayne and Joyce Liptak of Campton, the very best husband and wife team in the north; Nate Richards and family of Colebrook, who laid out the original Sanguinary Summit Trail on the CT; Karl Vornberger of Holderness, NH has donated more time, energy and goods to the trail than anyone I can think of. At age 72, he is tireless; David Demers of Berlin who has done yeoman work on our two lean-to structures; Doug Mayer of the Randolph Mountain Club, who has kept me informed of the terrific work the RMC has done on Owlshead and Starr King; Mary Ellen Cannon of Lancaster for her work on the Headwaters Road and Gadwah Notch; and to the two super loggers from Crown Vantage Corp. whose expert skill with chainsaws made it possible for the trail to advance much faster than was originally planned. To the landowners: A warm thank you to the late Fred Foss of Columbia for the okay to put the trail on Baldhead South; to Malcolm Washburn of Colebrook to allow a link between Mead lands and Fred Foss’s parcel; to Don Merski of Mead Paper Corp, whose sensible land-use and logging practices have improved recreational opportunities in their vast land holdings while supplying valuable forest products that we all use everyday; to The State of New Hampshire for allowing access and new trail work in the Nash Stream Forest and other parcels of state land; to the United States Forest Service who manage our great jewel of a national woodlands, the White Mountain National Forest. And last but not least, thank you to the Tillotson Corp. of Dixville Notch, which has permitted new trail and links over 13,000 acres of high ground on the corporation’s lands. Thanks to International Paper Company for supplying maps of their lands, which helped us lay out trail accurately and not trespass on the lands of others. To Champion International Corp.’s Allan Peterson and Donald Tase for information about Champion holdings and their voicing legitimate concerns about hikers and campers in the northern working forests; To US Generation of New England for enlightening us to the easements the power company maintains in the Connecticut Lakes region and the verbal support for creating some new trail in that area. I must thank David Govatski of the White Mountain National Forest (retired) and the manager of the Audubon’s Pondicherry Wildlife Reserve. David is an absolute fountain of information about the WMNF and old or abandoned trails and logging tracks. Penny Clark of Gilmanton had slaved away on the huge original Cohos Trail Association website. Thank you ever so much, Penny. Special thanks to educators, like Andy Coppinger, former principal of Stratford High School, who put students to work on the trail and who has organized the school’s special trail projects in the Nash Stream Forest. To Diana Pelletier who channeled Americorps volunteers our way to work on the trail. I’m appreciative of the interest of Mike Lanza, senior writer for Backpacker magazine and publisher Linda Chestney of Nicolin Fields Publishing, Inc., who has agreed to print the guidebook. And what about the photographers, like Chris Whiton of White Mountain Images, who has donated copious amounts of images to the cause. Thanks to the folks at Hiker’s Paradise in Gorham, particularly Bruce Pettingill. The place is a hikers hostel. Cheap digs. Good breakfast. Great company.